For the record, there has never been a major riot at the old Mangaluru fishing port, known to locals simply as ‘Bunder’. This may seem strange given that the world immediately outside the walls of the Port has erupted with communal violence countless times in the last four decades. At first sight, the Port which is estimated to be nearly a thousand years old appears a tinderbox which could go off any time. If you visit Bunder at six in the morning, on your right you will find trawlers neatly docked one after the other. Varieties of fish are unloaded here by men and women workers, by the crates, onto the wharf. Once the trawler is emptied, the trawler doubles up and its place is taken by another, usually waiting right behind. Nobody has time to rest in the morning as there is constant traffic and the wharf can accommodate only up to 35 boats. A good day's turnover at Bunder during the fishing season is close to 150 tonnes of fish, of different varieties. The hustle and tension are a constant, with the heat getting to those involved in the process from time to time, evident from the fights which break out, simmer for a few minutes and die down. Once is fish is offloaded, it goes through three levels of auctioning. The open-air auction halls are in front of the wharf and are manned almost completely by women. There are women waiting along the auction halls, ready to skin and fillet the fish. Many of the workers are migrants from neighbouring Tamil Nadu. The flags on the mast of fishing trawlers docked at Bunder mark out the communal faultlines that today define Coastal Karnataka. The Hindu boats have saffron, pink and yellow flags with OM emblazoned across them and Muslims have green flags. Remarkably, in the middle of this colourful show of identity, there are boats with a saffron flag on top of the mast, Indian flag below and a green flag right under. This culture of flag wars at the port isn’t more than two decades old. It started after the Surathkal riots of 1998, in which the Sangh played a major role. The violence which put the region under a 12-day curfew left six Muslims and two Hindus dead. 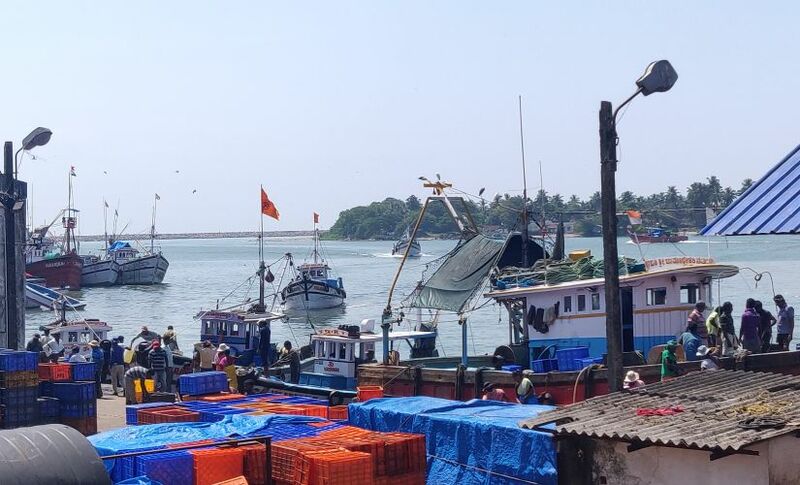 Caution is the omnipresent sentiment at Coastal Karnataka’s oldest fishing port of Dakshin Kannada situated in Bunder where the way in which the fishing business operates demands that the communities interact with each other on a daily basis. Muslims and Christians collectively own 52 percent of the boats here and Hindu communities, largely the local fishing community of Moghaveeras, own 48 percent. The Moghaveeras are the local Tulu-speaking fishing community, who live along the coast — from Kasargod up until Kundapur. These factors make it an ideal battleground and yet, the port has remained unscathed because of a secular logic that has survived countless political upheavals through the centuries. 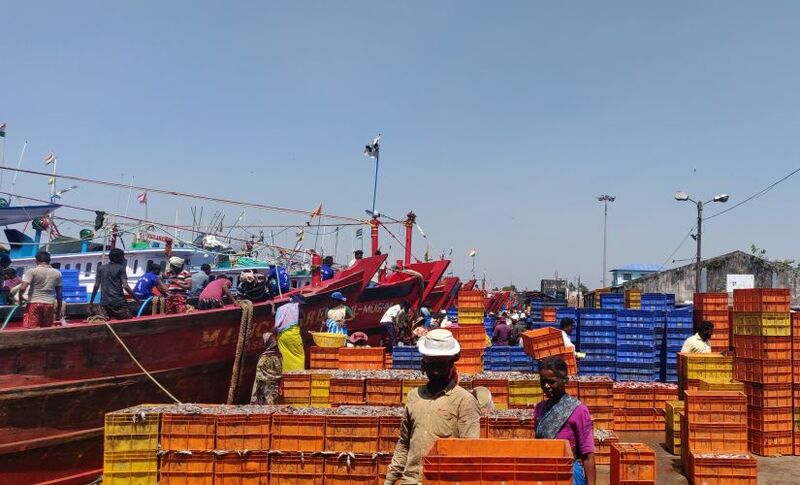 "When it comes to this Port, business will not be affected no matter what," says Mahendra Bolur, the president of the All Karavalli Fishermans Action Committee. When LK Advani's Ram Rath Yatra was stopped in Bihar by the RJD government led by Lalu Prasad Yadav and he was arrested, Sangh activists in Mangaluru stormed the port demanding a complete lockdown. They were turned away not just by the Muslim cooperatives but the Hindu ones too. "The port is a world in itself and secrets get out only when those who run things inside want them to," says Sulieman, the president of the Raw Fish Traders Cooperative Society. It is a code that cuts through the bitter rivalry. In 1996, a Muslim worker was murdered at the behest of a Hindu strongman at the port. This could've triggered a major riot and engulfed the entire coast but the 'code' came to the rescue. Leaders from all communities came together and banished the alleged killer from the port. The secret is preserved so well that to this day none of the five senior port leaders revealed the identity of the victim or the killer. In 1998, the biggest riot in Coastal Karnataka, since Independence, broke out in Surathkal, 16 kms from Bunder. The violence spread to the entire Malnad region which includes not just the coast but a large part of the Western Ghats too. But the port was once again spared. Suleiman says that when “outsiders” stormed into the Port demanding a shutdown, they were beaten up and thrown out. This was mostly a result of the efforts of a section of the Muslim, Christian and Hindu traders. “Whenever violence broke out in the region, these incidents kept recurring at intervals as there was an unsaid animosity which we had put aside for the sake of the trade. A majority of the Moghaveeras preferred to remain silent. He said that they called out those who remained silent. "We demanded to know from them why it always fell on our shoulders to stop a riot from disrupting business. We refused to work until this issue was resolved." The bench-sitters among the Moghaveeras were forced to take a stand as Bearys, most of who were traders, were the backbone of the fishing industry. Mahendar Bolur is one of those Moghaveera leaders who always played a proactive role in maintaining peace and pushed others from his community to do the same. “We declared that no outsider should have an opinion on matters concerning the port. It could only shut if the heads of all the cooperatives agree." That agreement meant that apart from the month-long annual fishing ban, the port would shut only for eight days of the year — the festivals of different religious communities. "That doesn’t mean people are apolitical here," laughs Abdul Jaleel, an office bearer of the Raw Fish Traders Cooperative Society. "There are BJP, Congress, JD(D), PFI, SDPI, Bajrang Dal, RSS members here but in Dhakke (port in Tulu), you can’t flaunt these positions. Those working here know what baggage to leave at the gate, if they want to do business. If not, they will be thrown out”, says Jaleel. Rather than let the fish go stale because of a political conflict, it just made more sense to throw out the rotten elements. The only conflicts that break out are of the kind that is common to fish markets across the world – the price is never right and the produce never fresh enough, says Mahendra Bolur. This symbiotic relationship that keeps violence at bay at the Bunder isn’t a necessity at the Malpe Port, 60 kms up-coast in the neighbouring district of Udupi. The Moghaveeras, who own most of the fish processing factories in the vicinity of the port, also form a crushing majority inside. “The situation in Malpe is always tense. 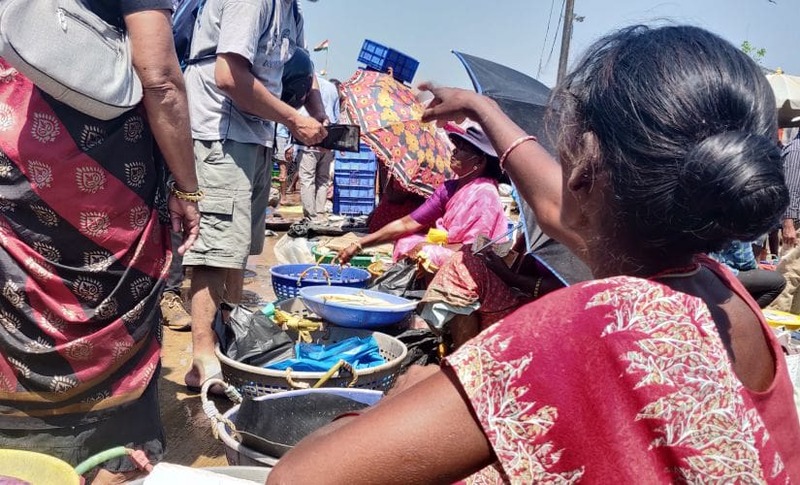 Unlike in Bunder, our department finds it very difficult to manoeuvre between the communities in Malpe,” says Manjula, assistant director, Department of Fisheries. She says that unlike in Bunder, the police are often called to separate the two fighting sides. Clashes are common in Malpe and lockdowns are often used by the majority Moghaveera community as a method to impose a trade boycott of the Bearys. “The Malpe fishing harbour used to have an equal number of Muslim traders. Now 90 percent of buyers and sellers there are Moghaveeras. 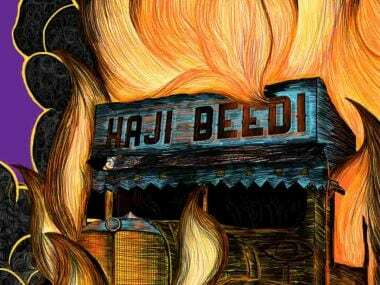 Everybody at Malpe, from the owners to the dock boys have made it evident that they will not tolerate us at the port,” says Jaleel. The fundamental difference between the two ports is that Bunder is located in a Muslim majority area and the Malpe port is in an area where Moghaveeras and Brahmins are in a majority. The local Muslim population has traditionally been involved in professions other than fishing which is a mainstay of the Beary Muslim community of neighbouring Dakshin Kannada district. "A large number of our people used to travel to Malpe to work and trade on the docks. But that number fell drastically in the last two decades”, says Jaleel. The Bearys travelling from Dakshin Kannada were branded as ‘outsiders’ as part of a larger political design. He mentions the example of a recent initiative where a group of Sangh activists started a fish vending business in Vittla Taluk. "The pitch that this group made is that trading of fish is dominated by Bearys and as Hindus, they wanted to break it. This is not new. There have been other such attempts before. They ultimately fizzle out." But Suleiman, clearly the diplomat with a tinge of a philosopher in him says categorically that the ocean helped traders like him prosper. How can we have a problem if more are joining the business, even if it is under a communal garb? "Let them do it. Everybody is allowed to choose a trade of their choice. Just because Shets have been doing diamond business, does it mean others can’t?” he asks. 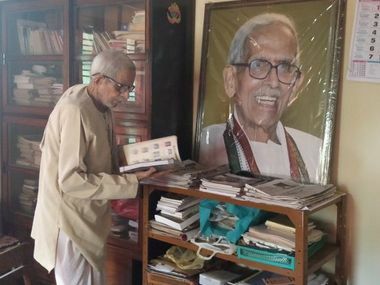 Vasudev Boloor is 82 and has been working for his community since he was a teenager when he took inspiration from a renowned socialist leader of Dakshin Kannada, Ammembala Balappa. He has served as the General Secretary of Moghaveera Mahajan Sabha for 25 years. He agrees that there is a feeling among Moghaveeras that Bearys are trying to take over the fishing business. "Till the beginning of the twentieth century, fishing was exclusively done by us. But when non-fishing communities like Bearys started trading in fish eventually buying boats and entering the business, this was seen as a threat. Others who would finance the Moghaveeras also stoked this fire," says Boloor. These differences that Boloor mentions has been recorded during colonial times. With the coming of an exclusive Department of Fisheries, attempts were made to modernise fishing; Ratnagiri boats were introduced for deep fishing; fish curing, oil extraction and guano factories were started on land granted by the department. This industrialisation attracted newer social groups to the seafood business. As far back as the 14th century, the Gaud Saraswat Brahmins had huge investments in the maritime trade and the community-owned fleets of long-distance ships. But in 1910, they became the early investors when the British started mechanising the fishing industry. This period also marks the entry of the affluent businessmen from the Beary community. Gaud Saraswat Brahmins, however, far outnumbered Bearys in the race for this new business opportunity. The two communities emerged as the principal moneylenders for the Moghaveeras who continued their traditional occupation albeit using modern technology. Indebtedness in the socially and educationally backwards was an inescapable reality for the Moghaveeras. By then, the huge population of working-class Bearys started going for the hawking jobs that were held by Moghaveera women until then. The colonial fisheries department started encouraging the formation of credit cooperative societies to resolve financial problems being faced by the Moghaveeras. The first such cooperative was established in Mangalore in 1910. In spite of this, the department noted in its administrative reports that the cooperatives were failing and the fishing community was still drowning in debt. Modernisation of fishing did not result in the modernisation of the financial sector, the money lender was still at the centre of the fishing economy. The working class consciousness that was growing among the Moghaveera cooperatives as a result of this financial exclusion was carefully shaped into an anti-Beary sentiment by the early leaders of the emerging Hindu right. By the time the Dakshina Kannada Mogaveera Mahajana Sabha (DKMMS) was formed in 1923, Hindu organisations such as the Arya Samaj had grown roots in the community through the efforts of Mohanappa Thingalaya, himself a Moghaveera. 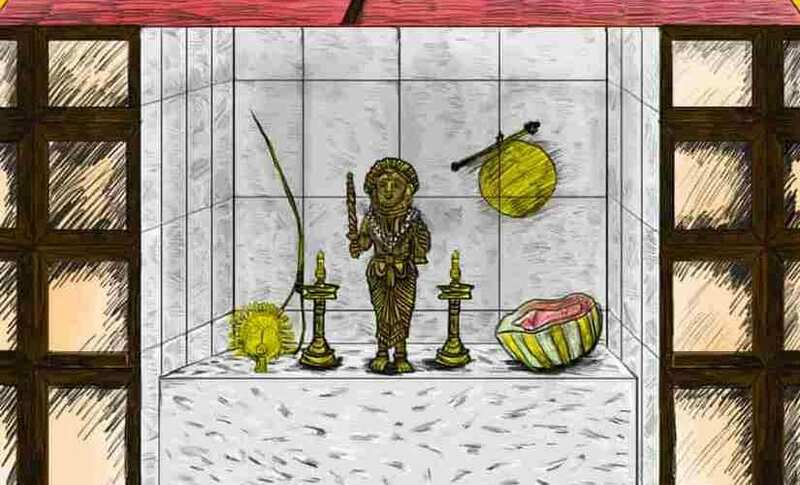 Although the Gaud Saraswat Brahmins had entered the fishing business along with the Bearys, much of the Moghaveera rage against the system had turned towards the Bearys. The emergence of militant Hindu nationalism, made it easier for the religious identity of the Bearys to emerge as a factor which marked them out as the ‘enemy’. Gaud Saraswat Brahmins, who were already in control of Hindu organisations such as Arya Samaj, benefitted from this polarisation which served to edge Bearys out of the competition. 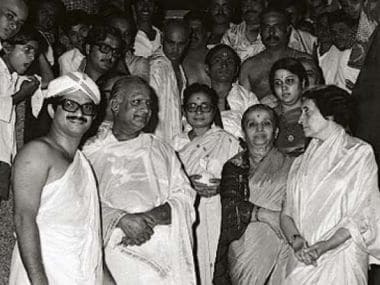 The subsequent emergence of sister entities in Dakshin Kannada like the Hindu Mahasabha in the 1932, RSS in 1941 and Bharatiya Jan Sangh in 1952 added pace to this project to consolidate the Hindus. 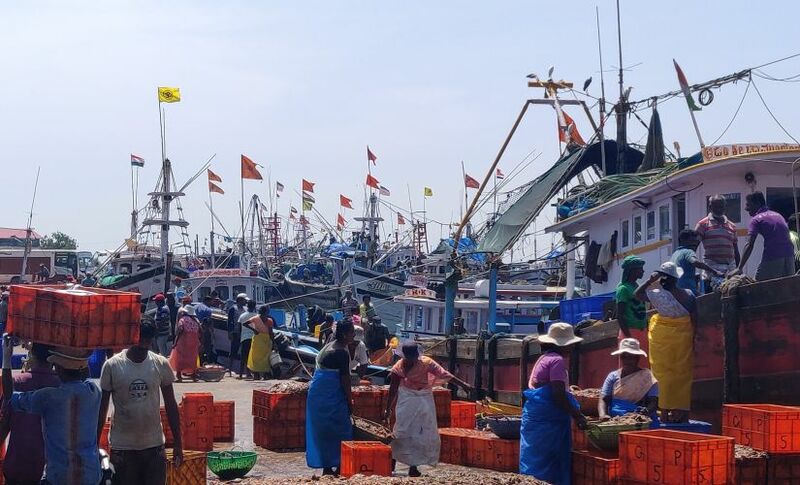 The Department of Fisheries, too, noted that the cooperative societies were largely formed along religious lines, not just in South Canara but across the coast. Vasudev Boloor feels that the continuing distrust among the Moghaveeras towards all sorts of developmental projects stems from the fact that the community had not really prospered through a series of such initiatives in the past century. "While there are many export business houses owned by us, the major chunk of the fishing community is still backward. Projects such as the New Mangalore Port Trust (NMPT) and Maangalore Refineries Private Limited (MRPL) were built by us giving away our lands but the promises made to us haven’t surfaced." Convinced that the Bearys were a cause for their woes, Moghaveeras took to Hindutva in a big way in the decades following independence. Indeed, when the time came, they were ready to assume the mantle of warriors of the faith. When major communal riots broke out in 1968, in 1992 following the demolition of the Babri Masjid and once again in 1998, it was Moghaveera men who were arrested by the dozens. The community called for intervention when an increasing number of Moghaveera youth started languishing in jail due to their participation in these activities. “After 1998, we decided to put an end to this trend. All Moghaveera societies instructed youngsters to not participate in such incidents anymore. The only thing which came out of these riots was that at the end of it, our boys would be locked up in jail for months while those who instigated them remained outside. The community is still very backward, both economically and educationally. Whose battles are we fighting?” asks Boloor. There was also a growing sense within the community that they had been used as pawns by upper caste architects of the communal polarisation. By the time the Moghaveeras began distancing themselves from the violence, the region was already a Sangh Parivar stronghold. The space vacated by the Moghaveeras scarred by the experiences of 1968, 1992 and 1998 had already been enthusiastically filled by another backward class community with a significant presence in the coast, the Billavas.